I made this a while ago, and I just found it. 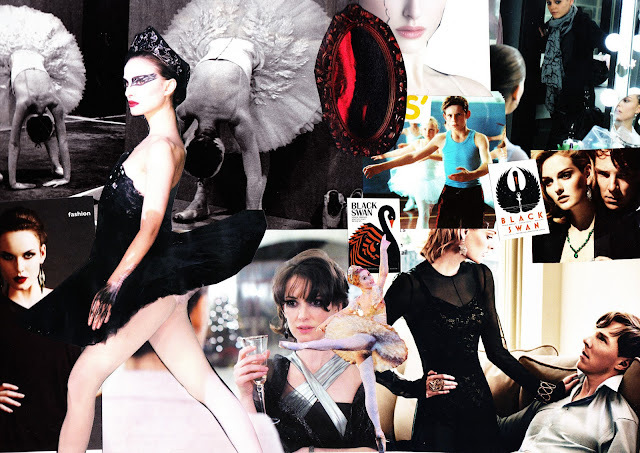 So, in honour of Natalie Portman's well-deserved Academy Award last week, here is my black Swan collage. I know, I know, I'm way behind the rest of the blogosphere, it's OLD NEWS. But I'm hoping the fact that my collage includes a reference to Billy Elliot AND two shots of the oddly handsome Benedict Cumberbatch will allow you to forgive me... please? Hey! Just came across your blog on the teen bloggers group :) this is lovely and I like your blog, I'm now following! I love Black Swan. It's such a brilliant film but quite unexpected. Lovely blog, I'm following. I have yet to see the movie... I know, so shameful. I really need to start making more collages & mood boards. i love this. i really really want to see this movie, i can't believe i haven't yet! Black Swan/ Natalie Portman will never be old news! I absolutely love your header by the way! I love your collage-- the costumes for Black Swan were so good! REally like this, so good! How did you do it?